We’d love your help. 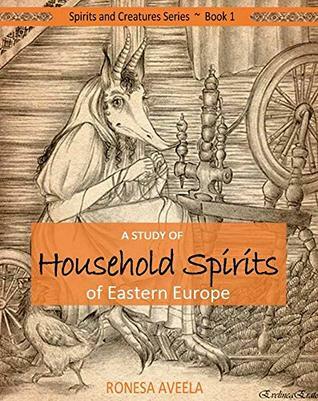 Let us know what’s wrong with this preview of A Study of Household Spirits of Eastern Europe by Ronesa Aveela. Eastern European mythology and folklore contain a rich, colorful blend of Christian and pagan tales, customs, and rituals. Many have lost their original significance, but others are still practiced—especially in remote, rural locations. House Spirits, the first in a series of books, will take you on a journey to discover nine fascinating house spirits you may never have he Eastern European mythology and folklore contain a rich, colorful blend of Christian and pagan tales, customs, and rituals. Many have lost their original significance, but others are still practiced—especially in remote, rural locations. - Unusual noises at night in your attic may be a Talasum or a hungry Stopan. - Sacrificing a black hen and sprinkling its blood in the foundation of a new home keeps the building and occupants safe from evil spirits. - Builders often measure passersby with string or “capture” their shadow in the mortar of a wall to make structures strong. - Forgetting to wash your dishes at night and leaving your house messy anger a Kikimora, and she’ll get her revenge. - Don’t kill a snake because it may be the spirit guardian of your home. - Have you heard of the Bannik? Taking a steam bath will never be the same again after you learn about his habits. 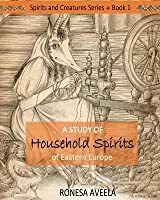 To ask other readers questions about A Study of Household Spirits of Eastern Europe, please sign up. I adore the history of mythology, especially for a culture for which I have only a passing familiarity with already. The commonalities I find between the different mythos are fascinating and compelling. The author’s presentation of the beliefs in these Bulgarian and Slavic folklore is given in digestible and interesting bits, with illustrations, examples, dark sides and light sides of each entity. I thoroughly enjoyed it! This is a fascinating look into the beliefs about mythical 'beings' that, although aged ideas, are still thought about even today in Eastern Europe. It also laid out how Christianity took on Pagan beliefs as their own...thus expanding the concepts of 'otherworld' and superstitions that were used to explain the unexplainable. It seemed very well researched and thought out. Each section included 'facts' and fiction, beliefs and general knowledge, however, I really liked the stories that were set ou This is a fascinating look into the beliefs about mythical 'beings' that, although aged ideas, are still thought about even today in Eastern Europe. It also laid out how Christianity took on Pagan beliefs as their own...thus expanding the concepts of 'otherworld' and superstitions that were used to explain the unexplainable. It seemed very well researched and thought out. Each section included 'facts' and fiction, beliefs and general knowledge, however, I really liked the stories that were set out for each creature - I particularly enjoyed the 'snake' and the story that followed about learning a lesson from a chicken. Overall, this was interesting, intriguing and informative, and could be very useful for fantasy authors. A fascinating study of things odd and unusual, this book reads a lot like a field guide introducing us to 9 different spirits. While I’ve studied a lot of folklore, I’ve never heard of these, and I thought the little tidbits and background information about where the tales originated made the guide that much better. Not to mention the illustrations. The author discusses mythology and spirits, using ancient and modern sources to discuss creepy and fun facts about spirits in folklore. The reader is left with enough information to decide on their own if they believe the tales are true (as many do), or simply superstitions that left people a little more cautious about things that go bump in the night. A generous amount of pictures and colored font make it an even more pleasant read. Ronesa Aveela is “the creative power of two.” Two authors that is. The main force behind the work, the creative genius, was born in Bulgaria and moved to the US in the 1990s. She grew up with stories of wild Samodivi, Kikimora, the dragons Zmey and Lamia, Baba Yaga, and much more. She’s a freelance artist and writer. She likes writing mystery romance inspired by legends and tales. In her free time Ronesa Aveela is “the creative power of two.” Two authors that is. The main force behind the work, the creative genius, was born in Bulgaria and moved to the US in the 1990s. She grew up with stories of wild Samodivi, Kikimora, the dragons Zmey and Lamia, Baba Yaga, and much more. She’s a freelance artist and writer. She likes writing mystery romance inspired by legends and tales. In her free time, she paints. Her artistic interests include the female figure, Greek and Thracian mythology, folklore tales, and the natural world interpreted through her eyes. She is married and has two children.